Our holistic cat boarding hotels have multiple presences across Singapore. As the discerning cat owner’s choice for out-of-home cat care, our facilities at Bukit Timah, Paya Lebar and Outram Park are conveniently and easily accessible by public and private transport and boast a total of 48 cabins. Tucked away in the eclectic neighbourhood of Geylang, which is rich in cultural and architectural heritage, Nekoya @ Paya Lebar houses the Nekoya experience store, where an assortment of high quality curated cat foods, treats, accessories & more are available for sale. Spacious and warmly-lit, our largest cat hotel yet is a 15 minute drive from the world renown Changi Airport, perfect for the time-starved traveller. Nestled away at King Albert Park, Nekoya @ Bukit Timah features a cozier setting that was modelled to closely resemble a warm and welcoming home. This outlet features a total of 18 cabins, a large play area for daily R&R, as well as retail store space, stocked with high quality cat foods, treats and accessories to elevate your cat’s vacation stay. Situated in the conservation area of Blair Plain, Nekoya @ Outram Park is nestled in a beautiful early-era shophouse reminiscent of yester-year. Housing a total of 15 cabins, our latest Nekoya outlet is a 5-min drive from the town centre & Central Business District. 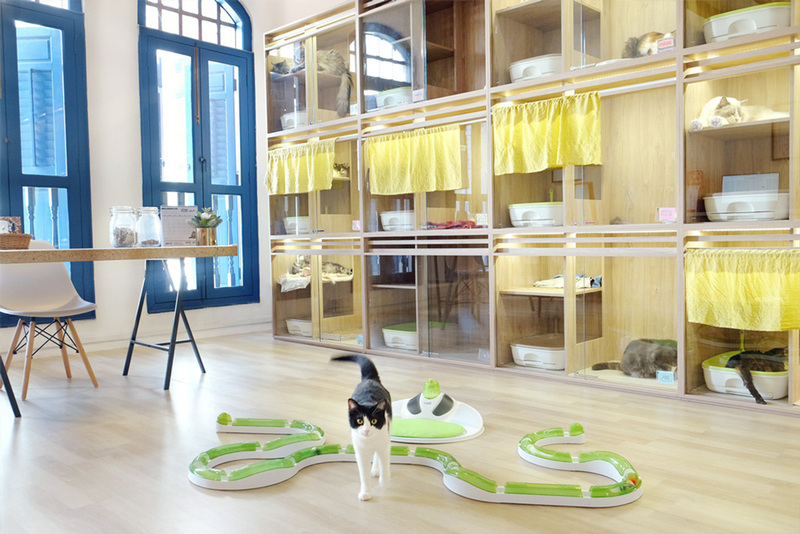 It is easily accessible to cat parents living in Central Singapore who frequently need to jet, set & go! Thank you for taking care of KeeTee while we were away.Appreciated your updates and advise!